Yesterday was the Prep Schools Third Rope Ceremony this year, Cadet Candidates who have reached military excellence by achieving the highest scores in military training, athletics and academics were awarded Ropes. The Ropes awarded during this ceremony were. Dean’s Rope - Awarded to cadet candidates who achieve a GPA of 3.5 or higher. Alpha Squad: C/C Cayne Cardwell, C/C Sean Chieves, C/C Ryan DeLung, C/C Adam Diaz, C/C Mariah Forde, C/C Michael Higgins, C/C Scott Huda, C/C Shanasty Mahilyons, C/C Robert Rauff, C/C Kristen Roberts, C/C Britian Rogers and C/C Jerry Severn. 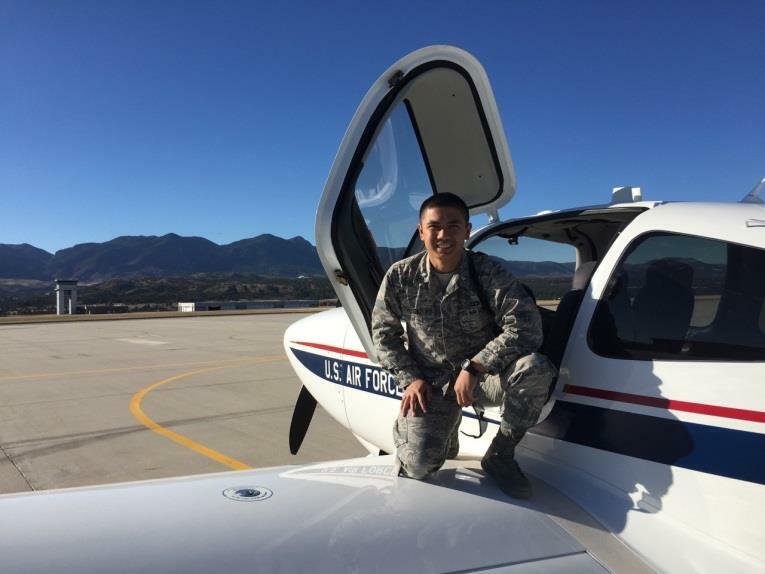 Bravo Squad: C/C Asia Ayanyemi, C/C Howard Bermudez, C/C Ethan Compton, C/C John Ireland, C/C Kevin Khamphoumanivong, C/C Cameron McAnany, C/C Tuan Nguyen, C/C Ludvig Oliver and C/C Ryan Weber. Charlie Squad: C/C Matthew Iverson, C/C Jordan Locke, C/C Brock McArdle, C/C David Ree and C/C Timothy Richard. Military Rope - Awarded to cadet candidates who achieve a Military Performance Average (MPA) in the top 10% of the Squadron. 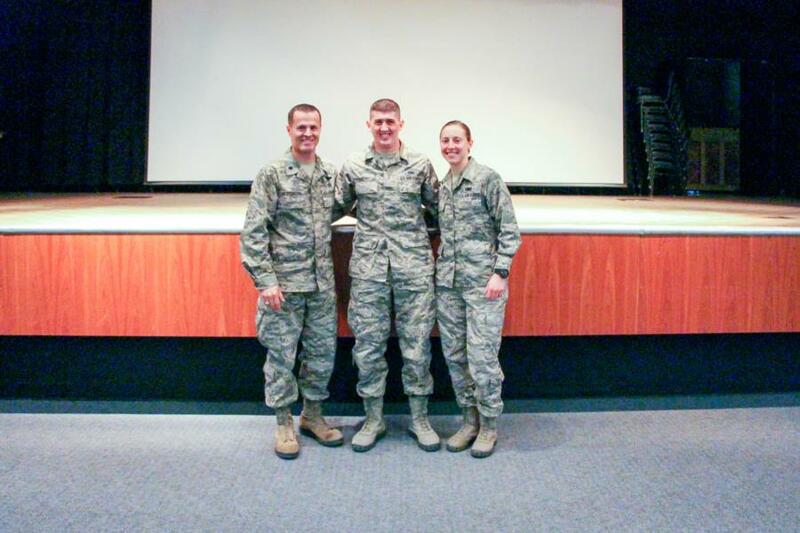 Alpha Squad: C/C Austin Carlman, C/C Braydon Huschka and C/C Laura Wood. Bravo Squad: C/C Danallen Lee, C/C Brett Martin, C/C Stephen Rumsey and C/C Adrienne Yoder. Charlie Squad: C/C Connor Allen, C/C Micala Bruce, C/C Ashley Cameron, C/C Michael Crotts, C/C Shale Finnesand and C/C Matthew Manzano. Athletic Rope - Awarded to cadet candidates who achieve a Performance Fitness Test (PFT) score in the top 10% of the scores from the Fall 1 test. Alpha Squad: C/C Vanessa Davila, C/C Megan Irvine and C/C Jordan Dobranski. Bravo Squad: C/C James Jones, C/C Ryan Lynch and C/C Nicolas Wells. Charlie Squad: C/C George Brown, C/C Haylle Lawrence, C/C Jaylen McCollum, C/C Alexis Miguel, C/C Khanh Nguyen and C/C Ashlee Salato. Vice Commander’s Rope - Awarded to cadet candidates who achieve outstanding performance in two of the three mission elements. Alpha Squad: C/C Hunter Brown, C/C John Dargle, C/C Zachary Kornblatt, C/C Thomas Krzyzanowski, C/C Victor Kyle, C/C Juanita Londono Henao, C/C Marc Rees, C/C Gabriel Watkins. Bravo Squad: C/C Justin Bishop, C/C Graham Kennis, C/C Luke Nimmo, C/C Stefawn Perrin and C/C Joseph Thornton. Charlie Squad: C/C Kelsey Owens. Commander’s Rope - Awarded to cadet candidates who achieve outstanding performance in all three mission elements: academics, athletics, military training. With each Rope the C/C gets a privilege. And finally, several of the Preppies will be given the opportunity to Fly with the Dean for a second time this semeseter! 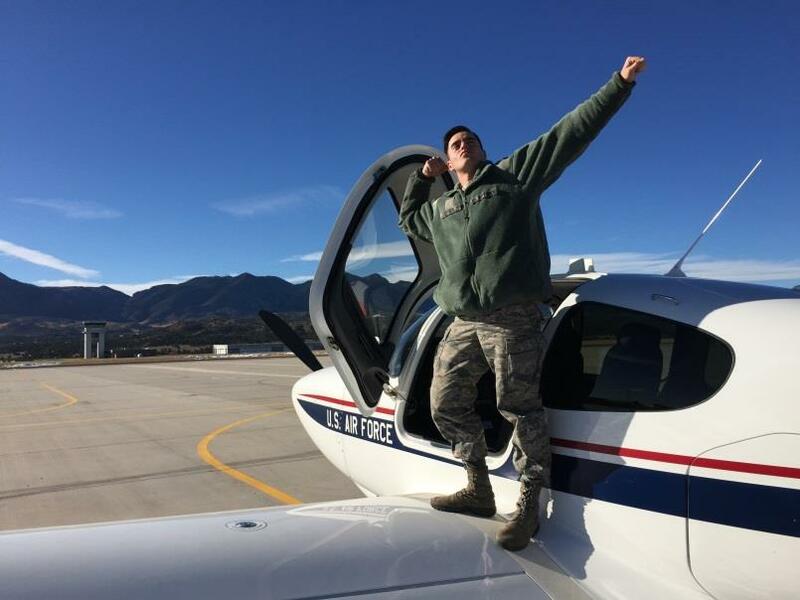 Big thanks to the Prep School for providing the pictures from last semester of the selected Preppies who got to fly with Lt Col Christensen. 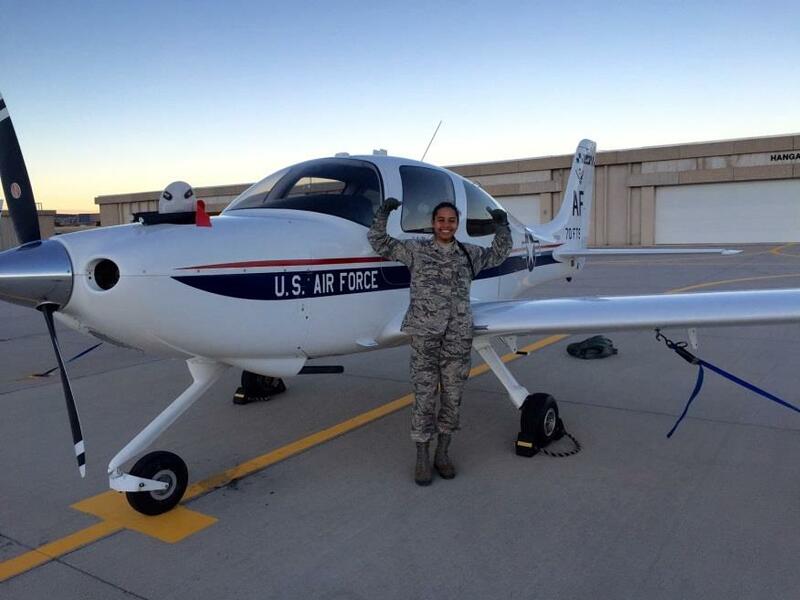 C/C Rees, C/C Kennis and C/C Sanabria got to fly earlier this semester. 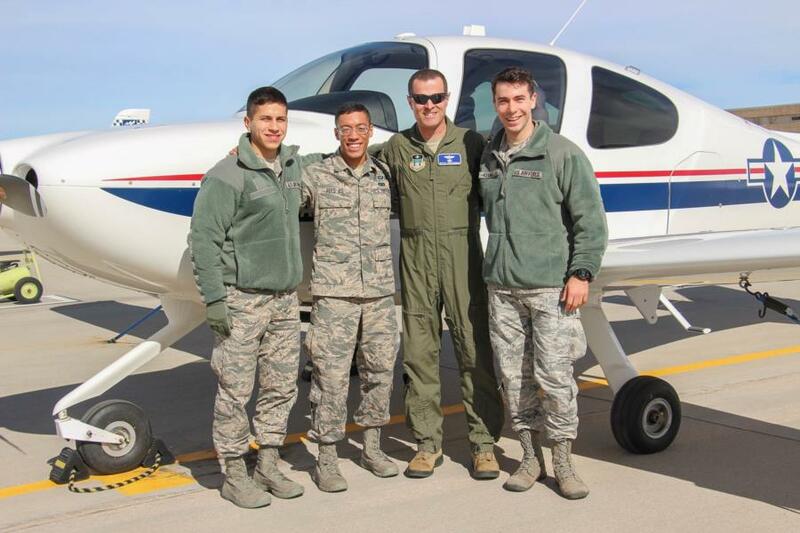 The C/C's who have the chance to fly with Lt Col Christensen in the near future are; C/C Kornblatt, C/C Thorton and C/C Salato. To view the pictures taken during the Rope Ceremony go to Classes - Prep School - Military Training. Or click the link below.